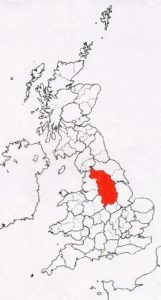 This may seem an oddly shaped area; two counties and part of another. 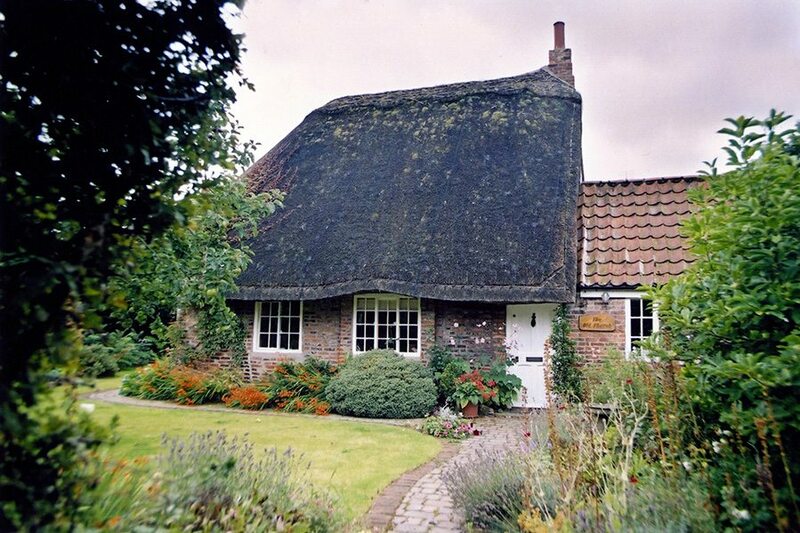 But apart from sharing many Northern thatching characteristics; this area’s thatching methods also once came under the close scrutiny of a very keen observer. One Charles Innocent, author and architect; dead these last eighty odd years and a guide worthy of following today. Two local thatchers, at least, were persuaded by this travelling architect, to empty their tool bags. Showing him and us, what type of work they were doing. 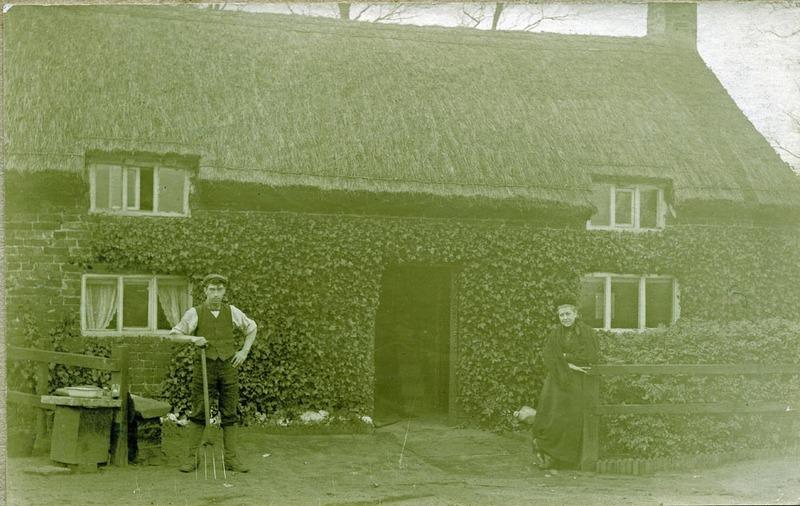 In September 1911, a Nottinghamshire thatcher showed Charles Innocent his few tools. The first was a paddle shaped piece of wood; to which the thatcher had not given a name. He used it to: ‘bat’ in the eaves. Second was a fairly standard eaves knife; made from a scythe blade. A side rake and a pair of shears completed his toolkit. Also shown were some: ‘thack-pegs’ and ‘tar-band’; (spars and tarred twine). These tools show our Nottinghamshire thatcher, used only long straw. There was no legget, in his kit for reed thatching. The first tool, shown to Charles Innocent, would be unfamiliar to most modern thatchers. Mr Innocent called this a: ‘Batting Board’ . 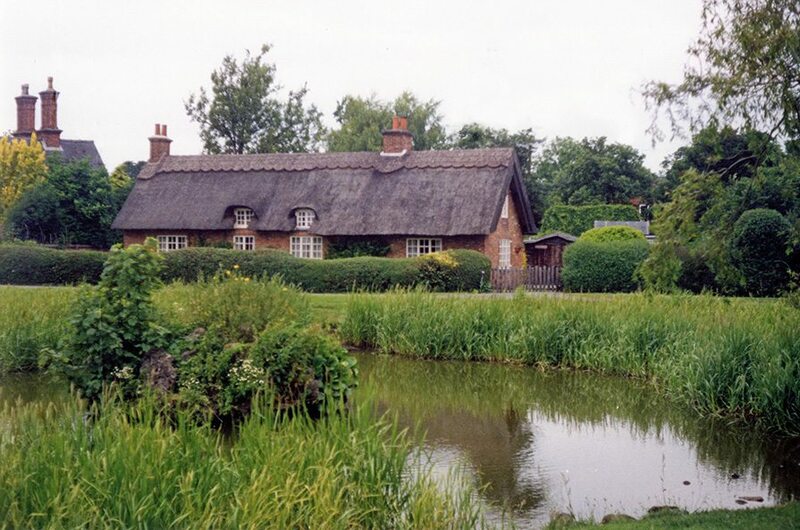 Stating it was used to beat down new thatch and spars; by thatchers across the width of Southern Britain. I found a similar tool, around two centuries old, in a roof in South Somerset. This should not be confused with a legget; there are no groves or teeth, to drive reed into place. Instead this seems to have been a handy implement; for use on long straw roofs, ricks and repairwork. 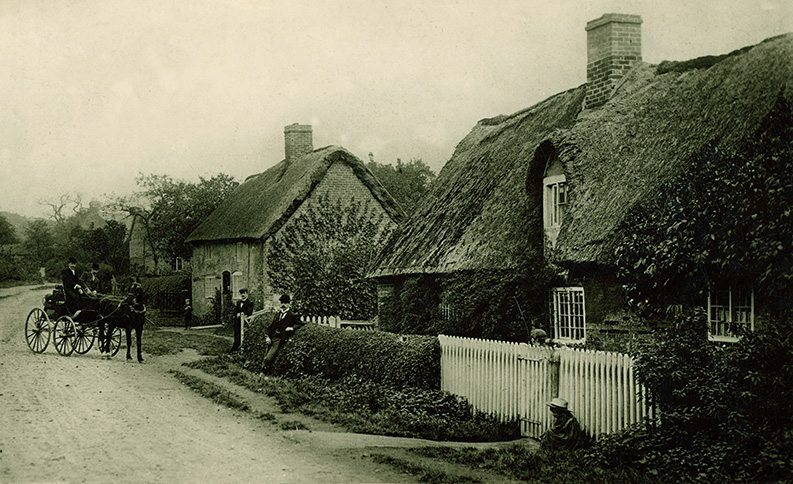 Derbyshire thatch… At Littleover in around 1890. The roof may or may not have been stobbed; but what is clear is the use of boarded gable ends. A common detail in this area. 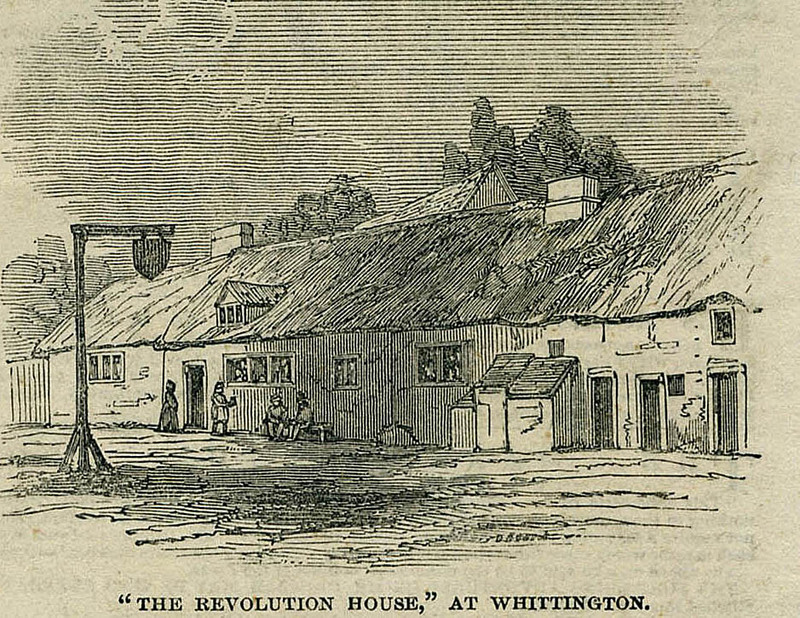 In the West Riding, Charles Innocent was able to inspect two thatched roofs, in detail. 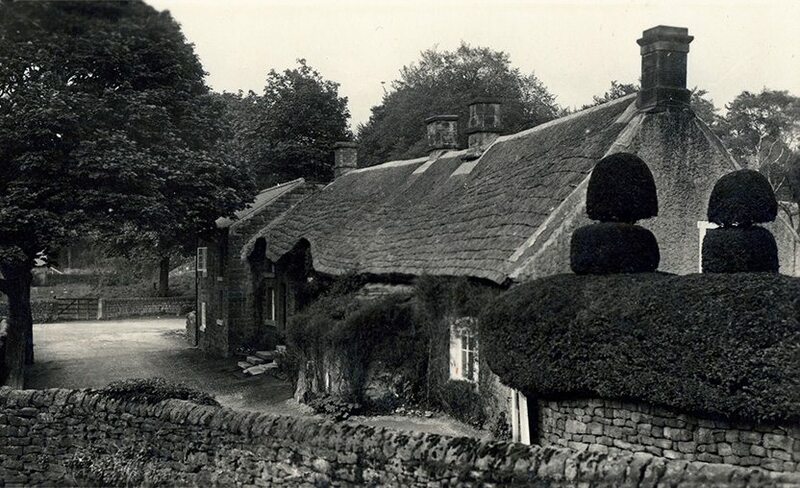 To the north west of Sheffield, at Greno Wood Head, he found some farm buildings still thatched. The tenants of the farm had covered one, with straw laid on bracken. Copied, so they told him, from what they had seen in Derbyshire. The other structure had a layer of straw, weighted with pieces of turf; this was of the farmers own invention. Along with heavy branches, laid over the roof; the turf sods had stopped recent gales from causing damage. 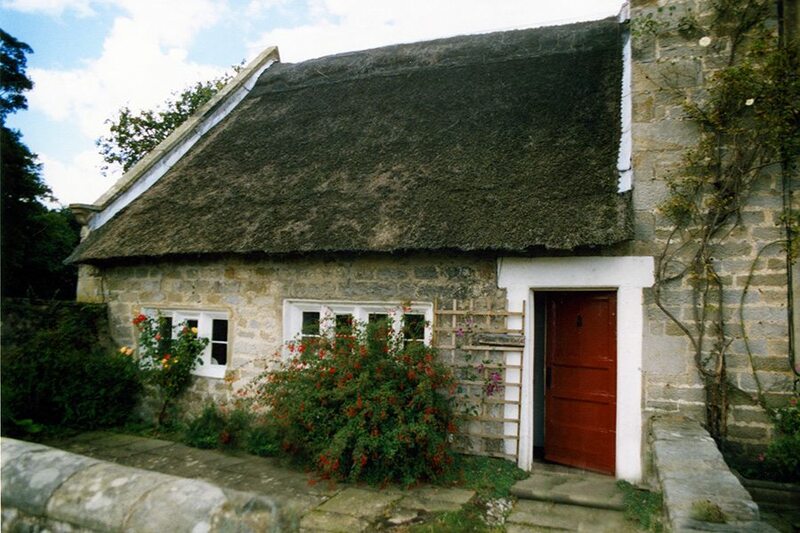 Another material was noted, in south Yorkshire, where a small amount of heather thatching was done, by besom makers. Along with the use of bracken, in Derbyshire, a thatcher from that county, mentioned the former use of flax, as a covering. So it would seem the area had several thatching materials, a century ago; in common with much of northern Britain. More conventional work was seen at Treeton, on the east side of the city. 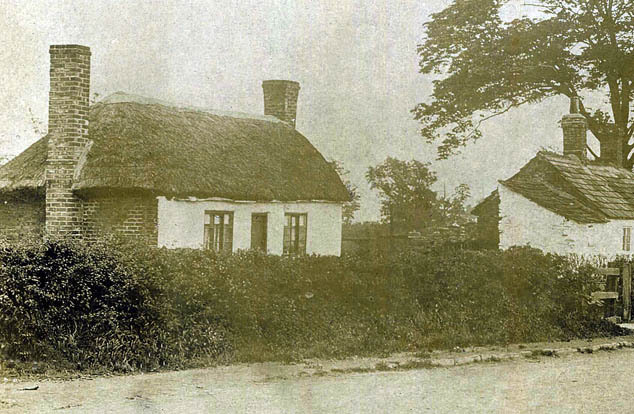 Here Mr Innocent was shown, what was alleged to be the old village manor house. As with many such buildings, it’s use had changed; being then occupied by a miner’s family. The oldest part of the building he saw, was of cruck construction. 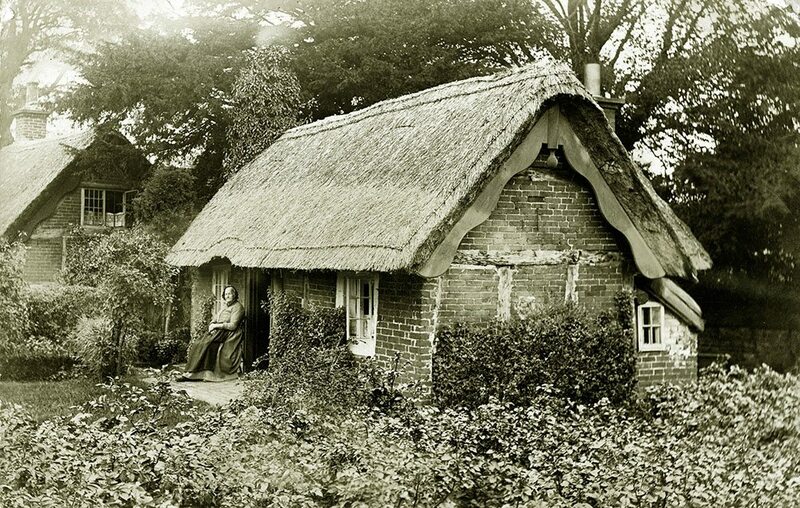 The thatch here was of straw, laid on turf sods, fixed by spars driven into the underlying turf. This is a method formally used, in most of the Northern area. He dated a younger part of the roof to the seventeenth or eighteenth centuries. Here a straw thatch was tied to wooden battens; in a standard long straw fashion. This was a type of work, described by Henry Best, over in the East Riding of Yorkshire, in 1641. As described in the History section. The whole roof now had a thin repair coat. This was held in place with wire strands; fixed around sharpened wooden pegs, driven into the coatwork. These pegs were not conventional spars. 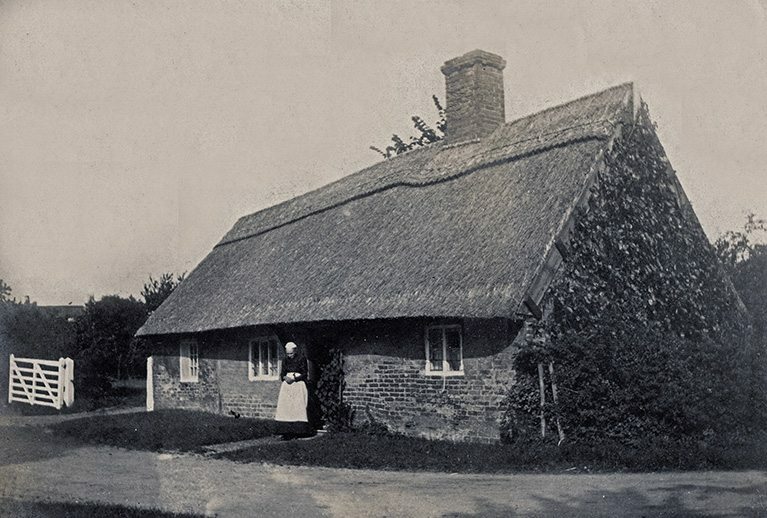 The old picture of the cottage, near Dewsbury shows a similar finish. As already seen on this tour, the method also seems to have been quite popular, around the Manchester area and in Scotland. Often using more conventional spars. 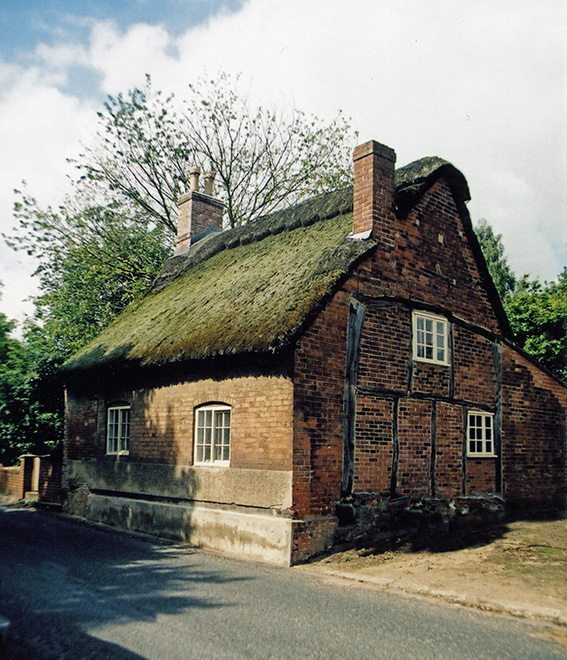 As with some of the other roofs he examined, this last coat, was probably the same type of work, used to thatch the local ricks. 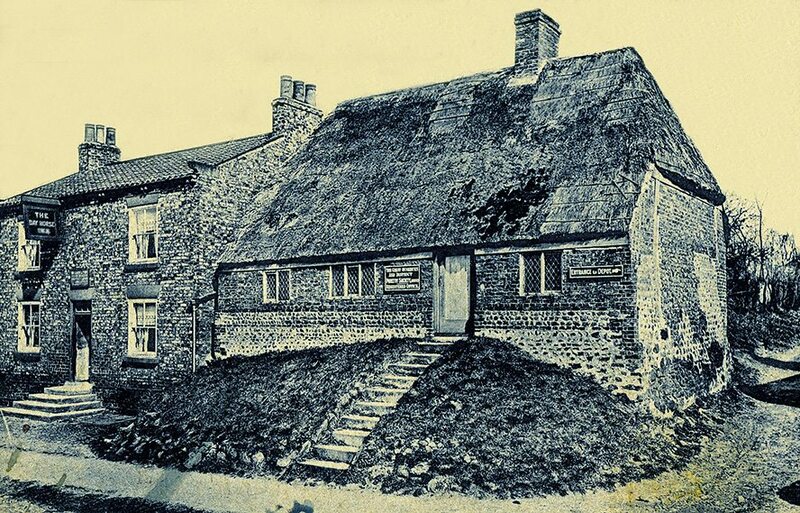 Near Dewsbury… An old image, of a thatch at Smithy Brook, with gables and ridge in mortar. The directional thatching is pegged down with wire. Whether Charles Innocent passed this way, we’ll never know, but this type of fixing was described by him. Most of the old images in this page, date from the time of his travels…. Perversely, it was a good time for Charles Innocent to be carrying out his studies. As he was able to see the construction of so many old buildings, in great detail; many being either in a state of dereliction, or the process of demolition. He really thought the art of thatching was doomed. But I think he would be glad to know, that the modern thatcher still has work; some, less than ten miles, south of his home city…. West Riding… The top left hand image shows a single storey thatch at Royds Green, still a rural spot south east of Leeds. This long gone roof was ridged with mortar, a century ago. To the right is another roof held by staped wire, only four miles from Leeds city centre, at Seacroft, alas no longer extant. The lower left photo, is before Charles Innocent’s time, dating from 1867 and shows: ‘Old Houses opposite Railway Station’, at Ilkley. Turf ridges top all these cottages, which are coated in straw, except for one in heather, down at the far end. 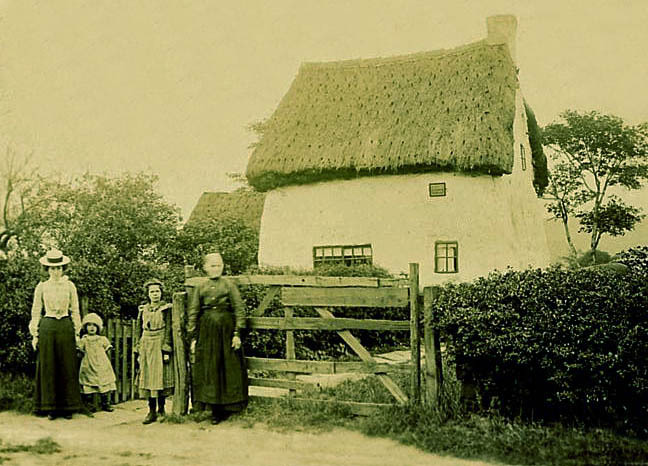 The right cottage lay at Great Ouseburn. It’s repairs being held down, with some thick liggers, and a few large spars. Being the home of the: ‘Great Ouseburn and District Poultry Society’. Unlucky Jim… This postcard dipicts ‘Ryecroft’. The reverse states that ‘our Jim say (sic) that they would not give him time to dress up…’ But he looked pretty tidy anyway, for the photographers. 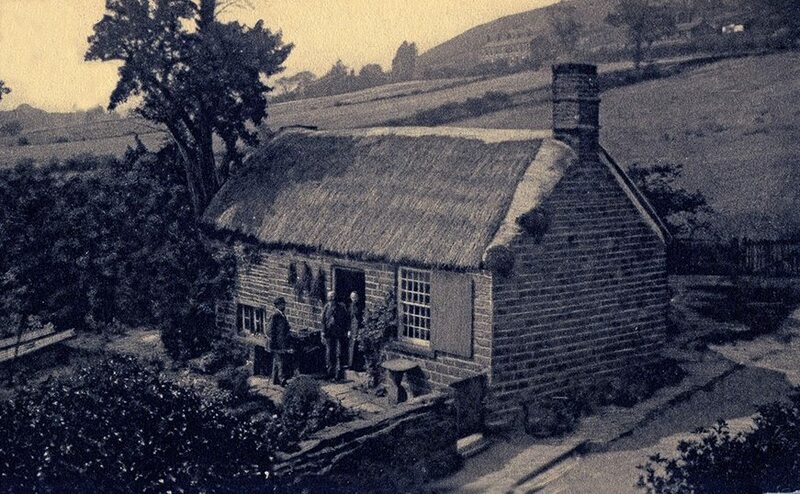 This ‘Ryecroft’ was likely situated in the Bradford area, of the old West Riding. The wearing, long straw thatch has been stobbed into place. 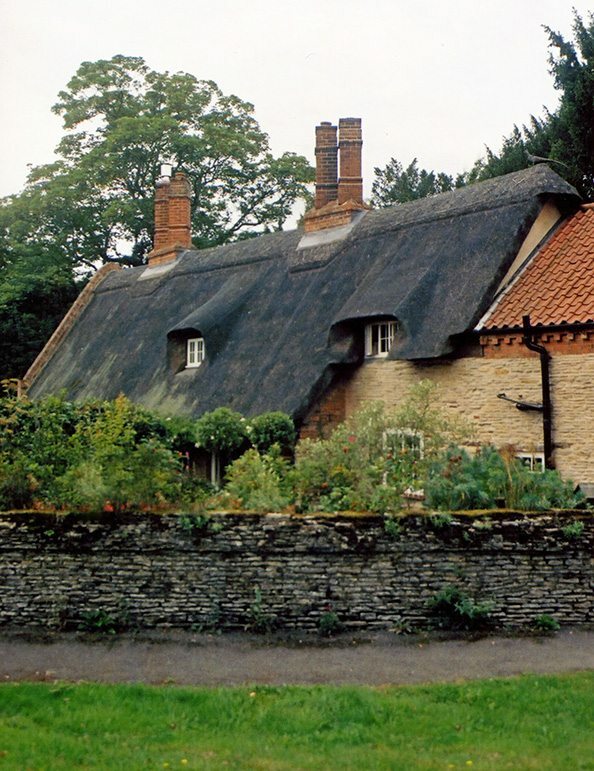 The sparwork, around the roof edges is not normal; the thatcher pushing in one half of a twisted spar and then sparing down the other half, as a ligger… The ridge is completed in a similar fashion, with some turf on the roof apex. 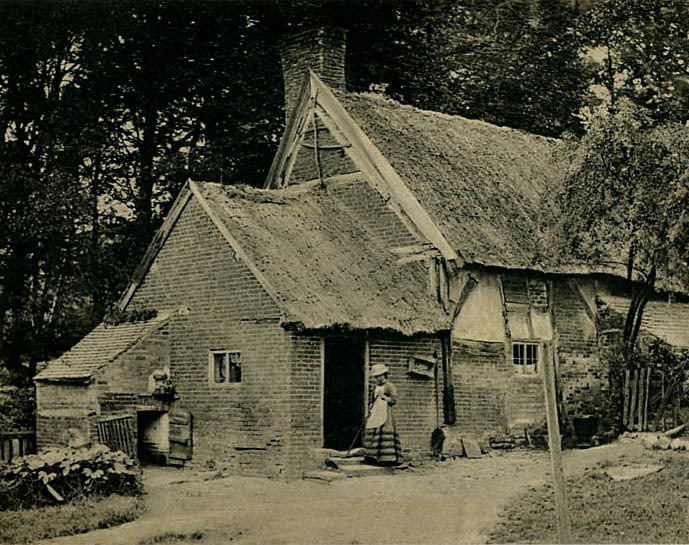 All fairly basic work, perhaps Jim thatched it… In around 1900. 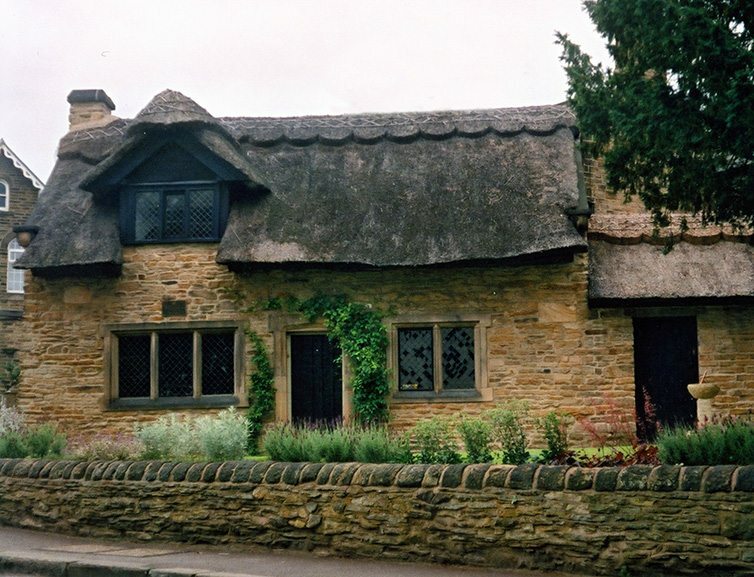 Picturesque Osmaston… This Derbyshire village has a good deal of thatch, in a very attractive location, near Ashbourne. Being rebuilt, as a model village around 1850. The old image shows long straw work. Today everything is in water reed., as seen in the upper photo. Derbyshire… Old and new. 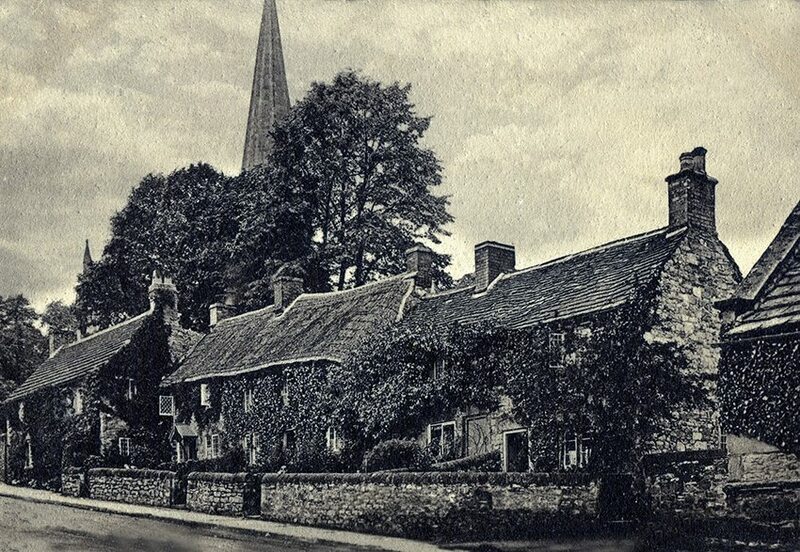 The top old image at Baslow, and the lower cottage at Bakewell, are both edged and ridged with mortar. 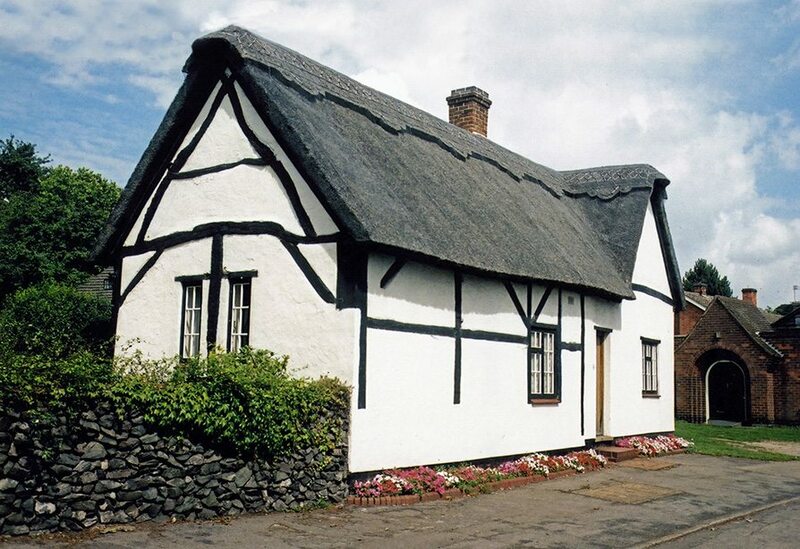 The Baslow thatch consists of directional repairwork, fixed with spars and liggers. Unlike most old pictures, showing this finish, this was not the final coat; before demolition; or a change to tiles. 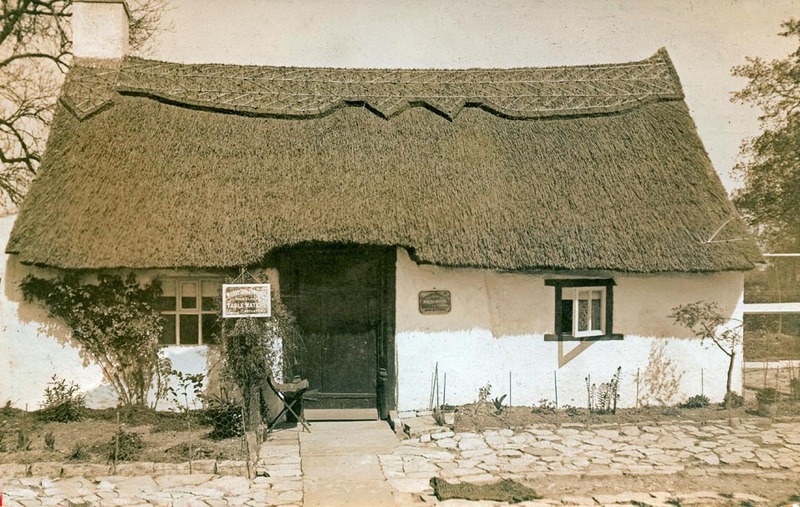 As this attractive building is still thatched. Now roofed with water reed. 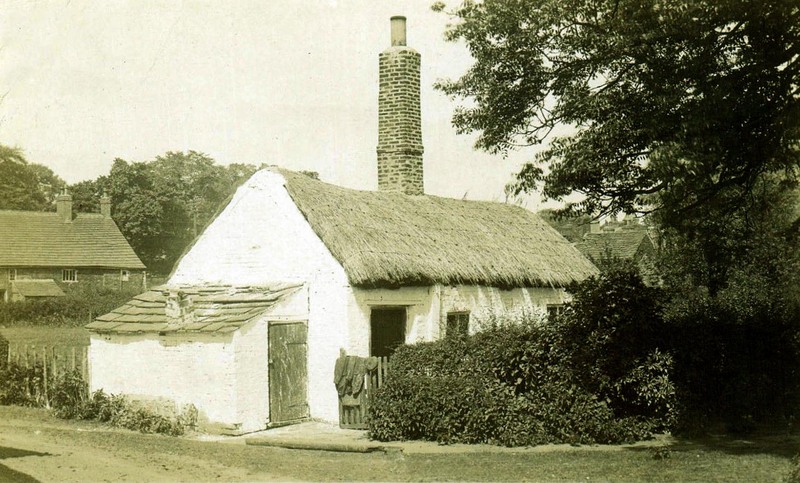 As is the seventeenth century cottage, in the modern photo; at Repton. 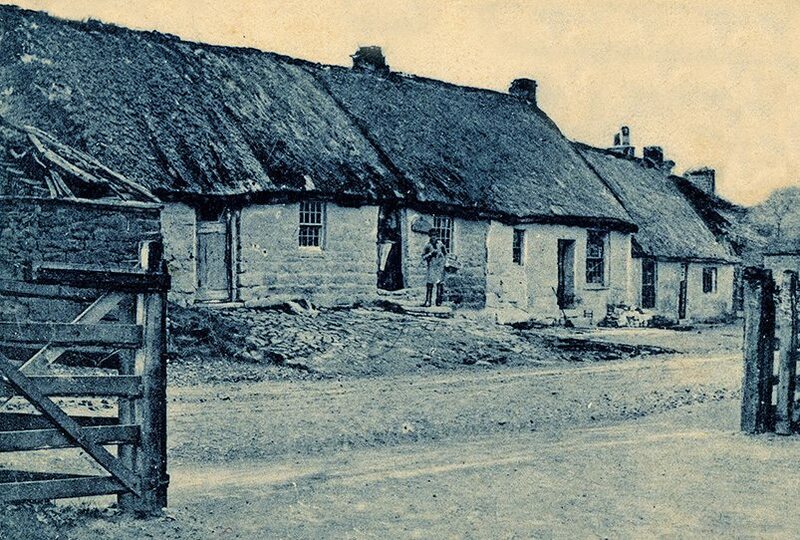 Which is not the only thatch, in this large village.